Embrace birth as a natural, empowering process!! Maximize your Birthing Tools and Choices. Allow birth to be enjoyable: Prepare your mind and body for birth. Train your Birth Partner to be your greatest comfort and best advocate. Attend local birth classes here in Santa Ynez. Reduce your fears about birth: Become confident in the process with education and self-calming skills. Know about birth’s many choices and remain flexible to embrace its unknowns. Attend local birth classes here in Santa Ynez. Respond to the powerful surges of labor with calm and confidence: Learn how to maximize your body’s production of beta endorphins: its natural pain reliever. Learn and practice powerful tools to help stay calm and comfortable. Attend local birth classes here in Santa Ynez. Create the birth that is best for you and your baby. Learn about the many options for birth and what your rights are in any birth setting. Attend local birth classes here in Santa Ynez. Lyn Dee Rankin’s group and private childbirth classes pull together the best of many disciplines available so that you can formulate your own birthing style, plan and process for a safe and healthy birth. 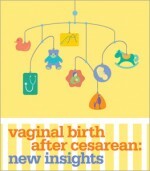 Start your learning right now with great evidence-based information at www.childbirthconnection.com. You are also encouraged to view The Mother-Friendly Childbirth Initiative by The Coalition for Improving Maternity Services (CIMS) at www.motherfriendly.org.